More than ever people don’t have time for all the things they want to do. With our dwindling time it is more important than ever to make sure we allot enough time for the things that are most important. What is on that list will most likely be different for everyone. Do you have a list of the things that are most valuable to you? If not, I encourage you to make a list. If you discover that health makes it onto your list that is GREAT! Most people don’t realize how important their health is until there is a health crisis. Making time for health comes in many different forms. Scheduling exercise time, preparing healthy meals, and getting plenty of sleep. But staying healthy is also, brushing and flossing your teeth, wearing you seat belt, and making time for your chiropractic adjustments. Our health is a sum of our habits. If these things become a habit you find yourself being healthy without putting much thought into it. 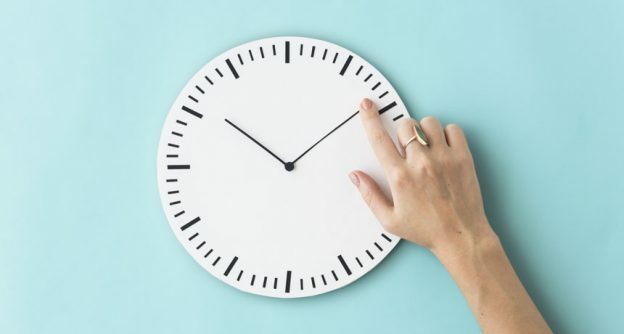 When you find yourself saying ‘I Don’t have time’ to be healthy it is very unfortunate because soon you will get sick and be forced to have to make the time. It’s much more enjoyable when you choose to be healthy on your terms! A great habit to get into to maintain and optimize your health is keeping a regular adjustment schedule. I chuckle when people tell me they have to cancel their appointments because they don’t have time. It takes 5 minutes to receive an adjustment! Adjustments are one of the most time effective actions you can take to better your health. A good schedule for a healthy, pain free adult is an adjustment every 2 weeks. Research shows that if you have a restricted spinal bone, it will start the degeneration process after 2 weeks. I like to be ahead of that process!